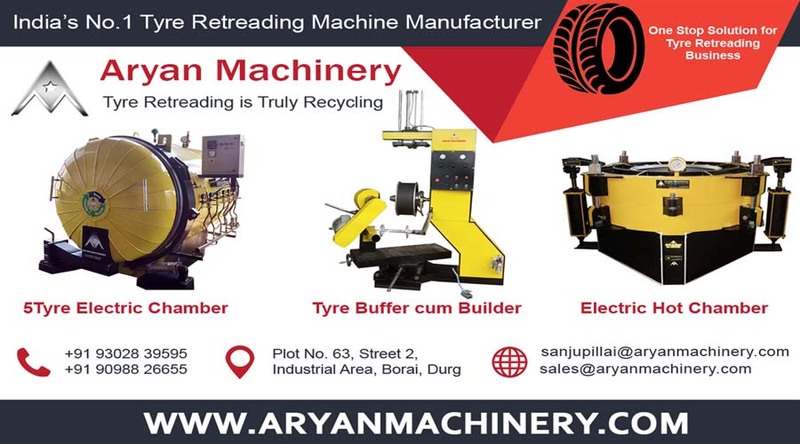 Hot retreading involves the vulcanisation of a tyre in a mould at a temperature of around 150 °C. The tread and the sidewall veneer of the tyre are made up of non-vulcanised rubber compounds. 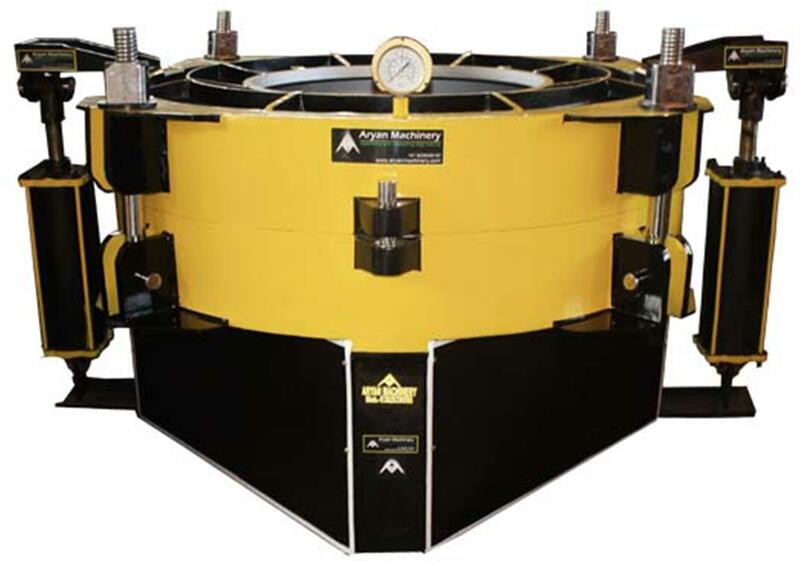 The shape and tread of the tyre are created in the heating press. Suitable for all tyre applications, including car and aircraft tyres. Material costs are lower than the more complex products required for precure retreading. Hot retreading also allows extensive repairs to be carried out on the tyre carcass (e.g. belt replacement). Even bias-ply carcasses can undergo hot retreading without any problems. A separate mould is required for each tread and size. This requires a high level of investment in a range of moulds, which will be needed to be regularly updated. 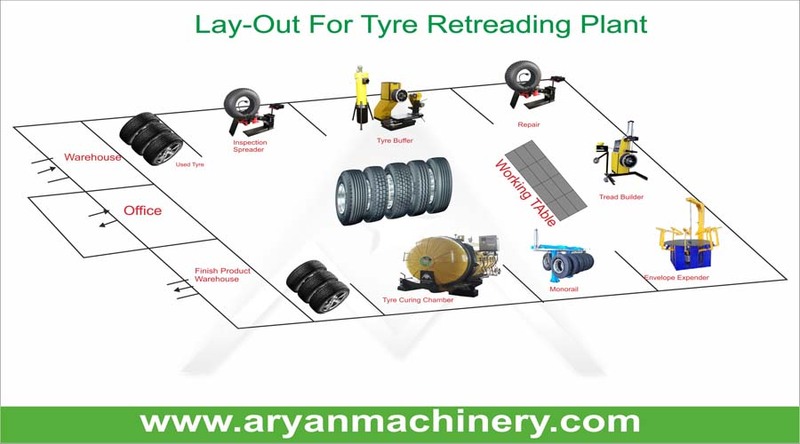 The production process needs to be designed for large numbers of tyres. This calls for a central production workshop, an extended customer area and therefore brings with it relatively high logistics costs. Less investment is required on the part of the retreading plant (no expensive moulds) and lower follow-up costs, since it is the material supplier who updates the range of moulds. A wide range of tread types are available, allowing the optimum tread to be selected for the tyre application. The comparatively low investment costs involved mean that decentralised, smaller production units can be operated. This means lower logistics costs and makes the operator more flexible and closer to his customers. The precure retreading process is kind to the carcass, since vulcanisation temperatures are lower and put less strain on the rubber-metal bonds in the carcass. Heat build-up in the tyre, rolling resistance and other tyre properties are often easier to assess than with hot retreading. With comparable tread geometries, the running performance of a precured retread is often better than a hot retread and the same as an equivalent new tyre. Precure retreading requires high-quality carcasses. Material costs are higher than hot retreading material, since the precured tread is already vulcanised and is therefore a more heavily-processed product. Labour costs per retread are higher than for hot-retread truck and bus tyres.